Working early in the morning and late into the night throughout the week, our team battled especially hard against mounting threats to life and liberty. Debates were intense and though our positions prevailed on some fundamental issues, we must grow our grassroots efforts if we are to hold off these threats in the future. Please encourage people you know to sign up for our network here! Extreme abortion bills: On Monday, we testified against Delegate Tran’s HB 2491 bill in a House subcommittee, where it was defeated in a 5-3 party line vote. HB 2491 is similar to New York’s recent abortion legislation. The bill would have allowed one physician to certify that a woman could undergo an abortion up until the birth of the child if the physician found the continuation of the pregnancy is likely to impair the woman’s mental or physical health. It also would have eliminated most of the procedures and processes – including the performance of an ultrasound, required to obtain a woman's informed written consent before an abortion – and eliminated regulations establishing minimum health and safety standards for abortion facilities. Another bill heard Monday, HB 1863 (Rodman), would have entirely eliminated Virginia’s informed written consent requirement before an abortion, thereby eliminating the performance of an ultrasound and the 24 hour waiting period. Fortunately, through our advocacy along with other pro-life groups this bill also failed on a party line vote 5-3. The Governor’s administration spoke in support of both these bills at the hearing. 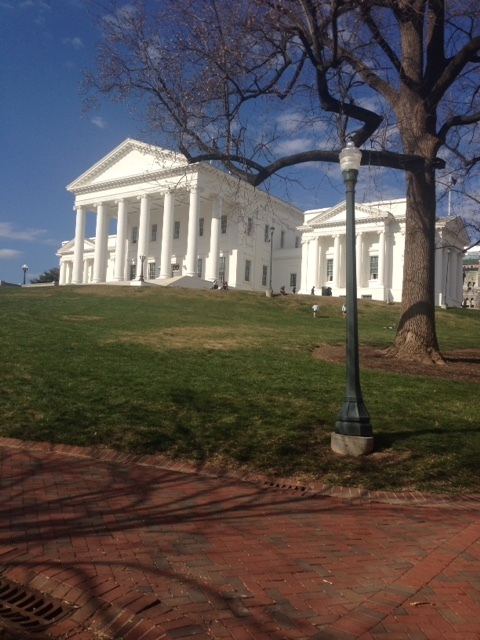 Read the bishops’ statements regarding Virginia’s extreme abortion legislation here. Health plan mandates threat on unborn and religious liberty: Yesterday, the Senate Commerce and Labor Committee heard three measures SB 1132 (Locke), SB 1185 (Favola) and SB 1344 (Favola) that when combined would have required all Virginia health benefit plans to cover abortions, abortion-inducing drugs, voluntary sterilizations and contraceptives. With our advocacy efforts and testimony all three bills failed. Thank you to those who came out to speak against these mandates. Furthermore, we also defeated a health plan mandate bill (HB 2378, Price) in the House Commerce and Labor Committee that would have mandated payment for abortions (with no limitations indicated), abortion-inducing drugs, voluntary sterilizations and contraceptives in both Virginia Medicaid plans and Virginia health benefit plans. These bills would violate the rights of conscience of religious employers and others with moral or religious objections to these procedures. Child protection: Legislation we support to add clergy to the state’s list of mandated reporters of child abuse and neglect – with exemptions for clergy-penitent communications – continued to advance. SB 1257 (Vogel) passed 40-0 on the Senate floor today. HB 1659 (Delaney) passed 18-0 in the House Courts of Justice Committee on Monday. Parental consent for family life education: On Wednesday, the House Education Committee voted 12-10 for a bill we support HB 2570 (LaRock) that would require parental consent to enroll children in public school Family Life Education programs. The full House will vote on this important parental rights measure on Monday. Please take action today to ask your Delegate to vote for HB 2570! Lifting working families out of poverty: SB 1297 (Barker) and HB 2160 (Plum) would have allowed low-income taxpayers to receive a refundable state credit equal to 20 percent of the federal Earned Income Tax Credit (EITC) claimed for that year. Unlike the federal EITC, the Virginia EITC is currently nonrefundable. On Monday, the House Finance Committee defeated HB 2160 12-10. On Wednesday, the Senate Finance Committee rejected SB 1297 by bundling it with other tax legislation, and voting 16-0 not to advance the block of bills. Despite these setbacks, making the state EITC refundable – which we support to help lift working families out of poverty – could still become part of budget negotiations. Educational opportunities for pre-K children: SB 1015 (Stanley) would expand the Education Improvement Scholarships Tax Credits (EISTC) program to enable economically disadvantaged pre-K students to be eligible for scholarships in localities where there are no public school options. This is an example of a public-private partnership that ensures that no child is penalized based on his or her zip code. Today the bill passed through the Senate (23-15), with our attention now on the House. Please be on the lookout for action alerts in the coming weeks! In-State tuition for immigrant students: On Thursday, the Senate Education and Health Committee voted 8-7 to defeat SB 1640 (Boysko/Marsden). This bill that would have made certain undocumented students who have applied for permanent residency (Green Card) eligible for in-state tuition. To qualify, an undocumented high school graduate or his or her parent would also be required to file a Virginia income tax return at least one year prior to the student’s registration at a public Virginia college or university. We testified in support of SB 1640 and similar measures to help qualified immigrant students and their families afford higher education that their tax dollars already help support. Come to Vespers! : Please register for Vespers, which is only a little more than a week away!